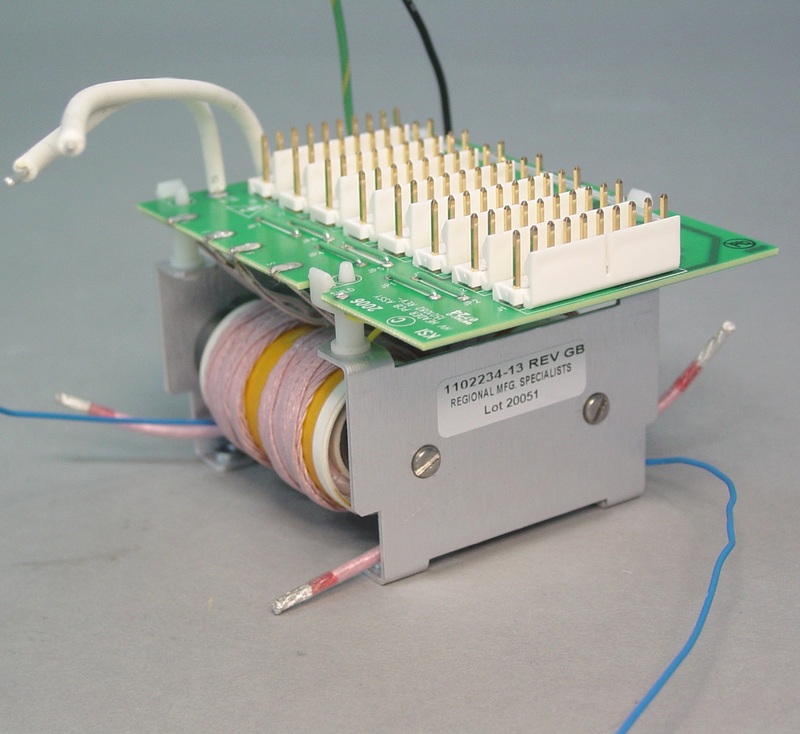 High Voltage Assembly with PCB - Agile Magnetics, Inc.
At Agile Magnetics, we have been offering premium quality precision magnetics for the most advanced applications for over 20 years. Custom transformers are one of our specialties; we work with a range of units, including complete High Voltage Assemblies. Our team of highly skilled and experienced designers helps customers to develop components that meet their exact specifications. Our high voltage transformers can be coupled with a broad array of customized components to meet your specific requirements. Custom brackets, addition of PC boards, connectors, and even vacuum potting are all options that can be added to your transformer. We can construct the assembly using your supplied parts, or source from our own vendors. Our team of experts has experience constructing all varieties of High Voltage Assemblies, including high-tech PCBs. Our staff has the experience and knowledge to complete the most complex high voltage assemblies — all while providing on-time delivery without compromising quality for speed in production. At our 40,000 square foot facility, we maintain a complete array of components and accessories to fulfill our customers’ assembly orders including a wide variety of connection types and mounting configurations. We offer High Voltage Assembly services at any stage of the process — from design and prototypes to full-scale production — and are ISO 9001 compliant, developing products that can be manufactured to UL, CUL, VDE and CE, with UL and CUL markings when required. To find out more about our services contact us directly.